Head of Iran’s Atomic Energy Organization says his country has started construction of two nuclear power plants in Bushehr. 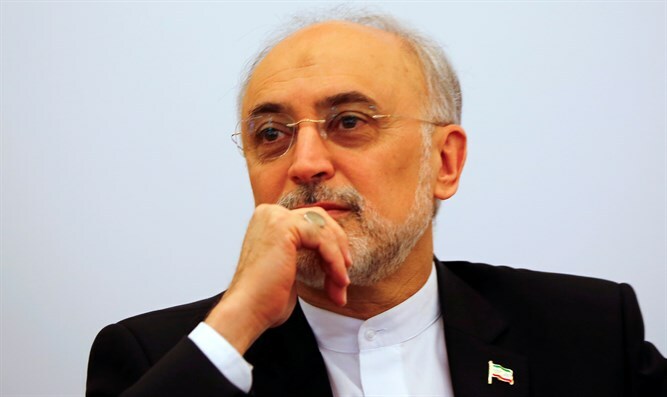 Ali Akbar Salehi, head of the Atomic Energy Organization of Iran, declared on Monday that his country has started construction of two new nuclear power plants in the southern city of Bushehr. “Everything is moving ahead in an excellent manner. I was in Bushehr two or three days ago and the Bushehr 2 and Bushehr 3 power plants are being constructed,” Salehi told reporters, according to the semiofficial Fars news agency. He added that the infrastructures of the power plants have been built, noting that thousands of tons of concrete and cement have been used and that a larger amount of concrete will be injected to the infrastructures of the two new power plants as well. In 2014, Iranian President Hassan Rouhani announced that his country would build a second nuclear power plant in Bushehr. Several months later, Iran and Russia signed a deal for Russia to build two more nuclear power plants in Bushehr. Despite concerns about Iran’s nuclear plans, experts have argued that the Bushehr plant is not a risk as International Atomic Energy Agency (IAEA) inspectors monitor the site ensure that all of the spent fuel is returned to Russia. At the same time, Iran has been threatening to restart its nuclear program ever since US President Donald Trump pulled out of the nuclear deal in May of 2018 and imposed two rounds of sanctions against the Islamic Republic. Iran several months ago reopened a nuclear plant that was idle for nine years as it prepared to increase uranium enrichment capacity in response to Trump leaving the 2015 agreement. In January, Salehi said Iran is taking preliminary steps to design uranium fuel with a purity of 20 percent for reactors instead of having to copy foreign designs. He later claimed in a television interview that the negotiations surrounding the 2015 Iranian nuclear agreement had required Iran to destroy the Arak reactor’s calandria by filling it with cement, but Iran had secretly acquired replacement tubes ahead of time so that the reactor’s functionality would not be ultimately affected.